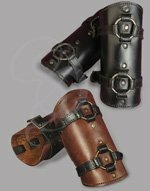 These bracers are ideal for any mysterious costume or character class. They add a perfect accent to any costume, and make great conversation pieces. They are astoundingly rugged and bear a stylized symbol on the cuff. 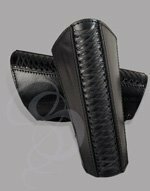 Laces hold the bracers tightly onto your arm. 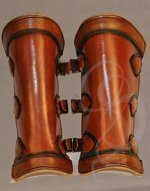 The sizing on these bracers indicates the length of the bracer (how much of your forearm they cover). 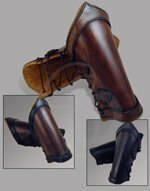 Large bracers are 11" long, medium bracers are 9 1/2" long. 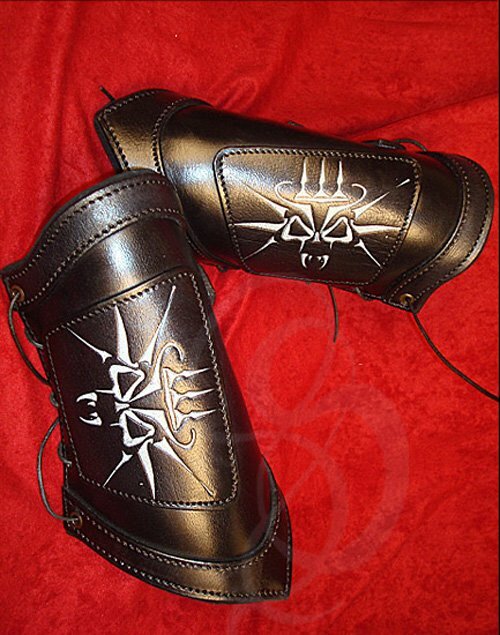 The circumference of the bracers (how they fit around the arm) is determined by the laces. You can tighten or loosen the laces/straps to customize the fit around your particular forearm size.